It has been raining everyday for what seems like all of April and May. Clearly there will be no spring for me this year, and winter will turn to summer rapidly. With that in mind I am currently forgetting the gloomy skies and thinking about warmer weather. 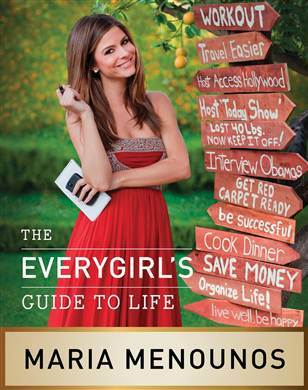 I was beyond excited when I found out Maria Menounos had a book coming out. I think she has impeccable style and is pretty much flawless. I have only had her book a couple days and am almost done with it. It's a quick, easy and informational and fun read. The book focuses on anything any girl would want to know from skin care and style to saving money and having an organized life. I definitely recommend you go out and get this book - it would make a great pool side summer read! From the Royal Wedding to the Kentucky Derby hats are everywhere, and the trend isn't going anywhere anytime soon. 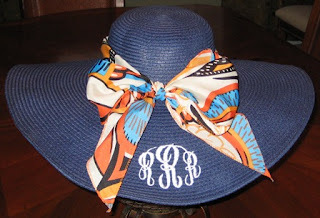 I am absolutely loving this Marley Lilly Monogrammed Floppy Hat. 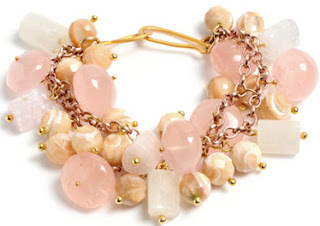 How perfect would it be to wear on the beach or out on the town with friends?! I have one and I can't wait to show you what it looks like.... when it stops raining! You know me I absolutely love jewelry from earrings to necklaces and bracelets they are all my absolute favorite. I recently discovered Wendy Mink Jewelry and immediately fell head over heels in love with almost every single piece. From tribal to feminine there is a bit of everything available on the website which I absolutely love. Each piece is perfectly crafted and you can tell a lot of pride and love goes into each piece. I know you need some new jewelry in your life! You know I couldn't make a post about warmer weather essentials without including my favorite summertime shoes OKA b. If you have not bought a pair or ten you are definitely missing out! 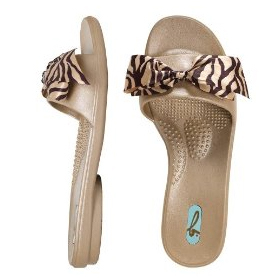 They are in expensive, comfortable and just so darn cute!!! A few really cute summer dresses. 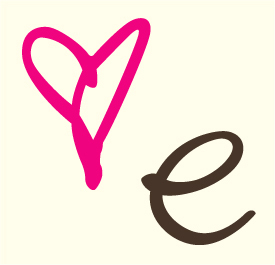 I am currently loving Tibi, Tucker and Lilly... what about you?! PS are you in love with the eyelashes of the with the Stars girls? I most definitely am! I just found out that the lashes worn by the professionals and celebrities are by Ardell Lashes! Of course I had to share this little bit of information with you! Love the one shoulder dress and the cluster bracelet. Adorable! oh, don't even get me started about all the rain! lol Its downright depressing! Esp after the harsh winter we had! Summer staple...crocks flip flops...not so fashionable...but oh so comfy! I just purchased Maria's book and I can't wait to start reading it!!! My Marley Lilly hat got so many compliments at the horse races-I even had boys come up to me and till me they liked it. I'll have to check out that jewelry company too! LOVING that dress! I would love to rock that when i get some color to my skin! I love false eyelashes!! I only wear them for very special occasions, but it's amazing what they do for your eyes. I'll have to try Ardell lashes next time! I normally put on lashes when i go out. I have a collection! But thanks to that Lash Card, I can pass unless I really want to Glam it up! Beautiful pictures! What a lovely Friday post. I just read Maria's book and I absolutely loved it! I just read an article about Maria and it said that she does her own makeup for events. I LOVE that about her! I should try the lashes, mine are short and sparse! Sorry to hear about the rain. Hope the sun shines for you this weekend. I adore the hat and jewellery. Have a pleasant weekend. loving that flopy hat. You can never have too many! And those OKA B shoes remind me of Crocs (the cute styles of course!). That book looks like a great read! I have always loved Ardell lashes. Beautiful photos! I want a Marley Lilly hat so badly! They are so cute and preppy! P.S. Natural glow really does work! On places where my skin tends to be more dry (my neck, knees, elbows, and feet), I mix half natural glow and half regular lotion so I don't turn out orange, but other than that, it's great! I know about the rain, everyday I ask Jeremy is it raining in Michigan today, yep! What is the deal?! 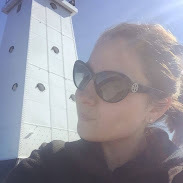 I hope it warms up and the sun shines soon for you, so you can sport your summer faves! Yay for big floppy hats, love em! I love that bracelet! I also have a hot pink of Oka B shoes, but mine are the mule style! love that yellow dress and i want maria's book! LOVE the one-shoulder dress and LOVE that floppy hat! Some great choices : ) And hooray for warm weather! That one shoulder dress is so adorable. 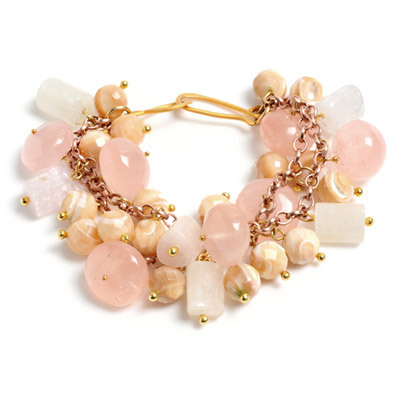 And such a great bracelet, too! I have Maria Menounos book on my b’day wish list. I want it bad and have a lot of admiration for her. Definitely looking forward to reading it! The Marley Lilly hats are so cute and I wouldn’t mind one of those either.